Science (in particular, physical or natural science) and social science are two types of science that share many things but are also different on many levels. Both sciences employ the same scientific model in order to obtain information. Some branches of each science even employ both natural and social science components. 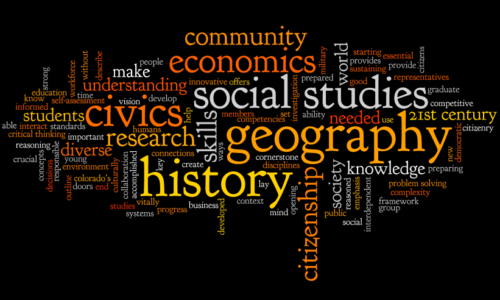 Examples of natural sciences include biology and ecology, while economics and psychology are examples of social sciences. Both have general laws that have numerous applications. Both use empirical and measured data that is observable by the senses. Additionally, theories in both sciences can be tested to produce theoretical statements and general propositions. However, differences are also plentiful between the two types of sciences. Science is often classified as natural or physical science. As its name implies, this science is concerned with the study of nature—the physical and natural behaviors and phenomena without the social, cultural, or human context. The basis of natural sciences is experimental data, which relies on repeated experiments, laboratory testing, and constant reproductions of results. The methodology of natural or physical science is often characterized as fixed and straightforward, with the constant element of standard measurements. This methodology also employs experiments. Data from these experiments often represent predictability and rationality. Physical and natural sciences work in a closed system where variables can be controlled, and the work is executed within a particular framework or paradigm. On the other hand, social sciences revolve around the behavior of humans as a people or human societies, their production, and operations. This type of science is also very concerned with cultural and human contexts and tries to explain how the world works. Its main aim is to study the complex and ever-changing phenomena that occur in human and social life as well as their interactions with one another. The basis of social sciences is experiential data. Experiential data tries to establish social phenomena and is not easily reproduced in a laboratory setting or in an experiment. The methodology of social sciences starts with an assumption and is gradually added to with a series of experiments and observation. Data collection methods are often done utilizing a variety of techniques like field observation, interviews, and focus groups discussions. The experiments and data collected in social science studies denote spontaneity and deal with the emotions of the people involved. Social sciences operate on an open system where uncontrollable variables are expected. It is also considered a cumulative science, which is characterized by a progression as the study goes on. Science (also known as pure, natural, or physical science) and social science are two types of science that deal with the same scientific model and the components of their own respective general laws. Science is more concerned with studying nature, while social science is concerned with human behavior and societies. Pure science is characterized by control, exactness, rationality, controlled variables, and predictability, while social science is the opposite—it is spontaneous, with unpredictable or uncontrollable variables, and it deals with human emotions and behaviors. The basis of natural science is experimental data, while social sciences rely on experiential data. The usual method of science (with respect to experimental data) is doing repetitive and conventional experiments in a laboratory, while social science, utilizing experiential data, usually involves alternative methods of observation and interaction with people within a community. Natural or physical sciences work within a closed system, while social sciences work within an open system. Celine. "Difference Between Science and Social Science." DifferenceBetween.net. September 8, 2017 < http://www.differencebetween.net/science/difference-between-science-and-social-science/ >. i real got what i was looking for and sutsfied with!!! I really like this website because It helps me think more about science.People says that social studies is better than science.What do you think. Very helpful information and got most of it. May l also know whether you is is possible to apply natural science nethods to social science analysis? Edward Kahindi Mkare.I gladly register my gratitudes to this portal. It has significantly served me.